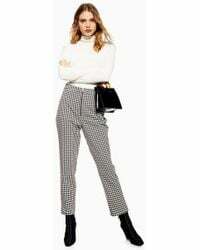 It’s time to ditch the denim – right now, houndstooth pants are having a moment in the spotlight thanks to this season’s heritage trend. 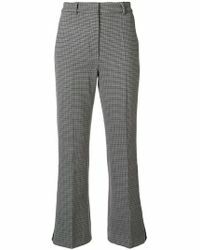 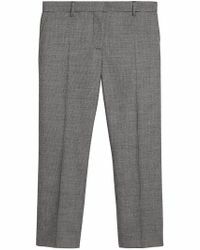 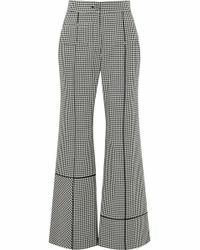 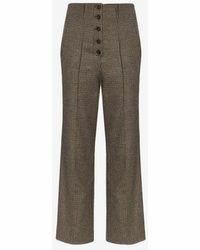 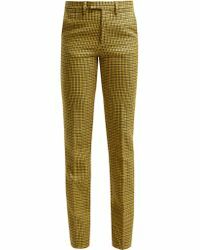 Of course, they’re perfect for the office – especially the tailored versions by Victoria Beckham and Theory – but houndstooth pants can also look effortlessly cool on off-duty days. 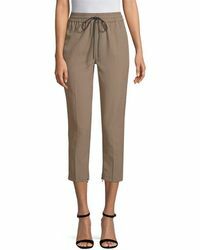 Case in point: Helmut Lang’s kick-flare styles paired with block-heeled boots and a biker jacket, or Rachel Comey’s relaxed-fit pair that can be converted into shorts.